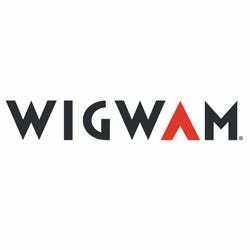 Wigwam has been making socks for over one hundred years. That’s a long freaking time. So it should come as no surprise that they’re pretty darn good at what they do. Plus, they have a cool name. Who wouldn’t want to say “hey, I’ve got on my Wigwams”? That’s just fun. But wearing them is even better. That’s because Wigwam Socks are designed to deliver support and comfort in any and all conditions—on the court, in the cold, on the job, and on the hunt. In this collection of Wigwam Socks here at The Working Person’s Store you’ll find a large variety of top-selling Wigwam favorites like hiking socks, X-Static socks, Insulated socks, and even Medical socks. They come in a variety of colors and styles and some you’ll even find in 3-packs (because one pair of Wigwams is never enough). Best of all, you can get them at low Working Person prices, so you can stock up on all your favorites without sending your wallet into a state of depression. Go ahead; get your Wigwam on.